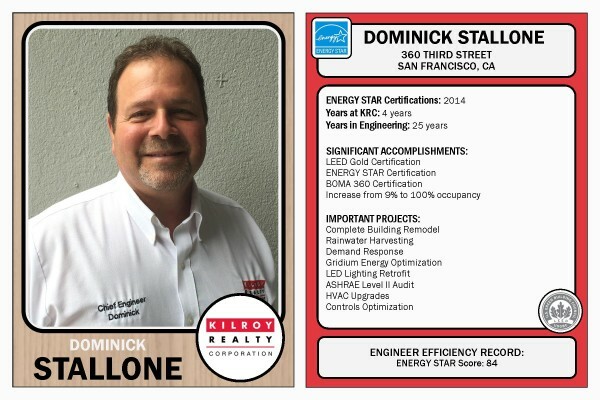 Kilroy Realty Corporation (NYSE: KRC) announced today that the U.S. Environmental Protection Agency (EPA) has for the fourth year in a row recognized KRC as an ENERGY STAR Partner of the Year. 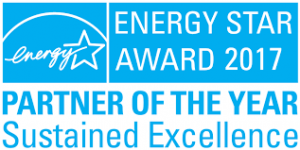 In addition, the EPA has also recognized KRC for the second time with its Sustained Excellence designation, which is the Agency’s highest honor. At Kilroy Realty Corporation, we believe that investing in high performance green buildings demonstrates both responsible corporate citizenship and good business sense. As such, we pursue excellence in sustainability throughout our portfolio in energy and water efficiency, tenant engagement, environmental construction, sustainable building operations, and green building certifications. 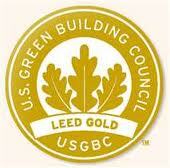 Read more about Kilroy’s Sustainability Programs. This year, we are celebrating the sustainability work of our building engineers, who work tirelessly to reduce energy and water use in our buildings. 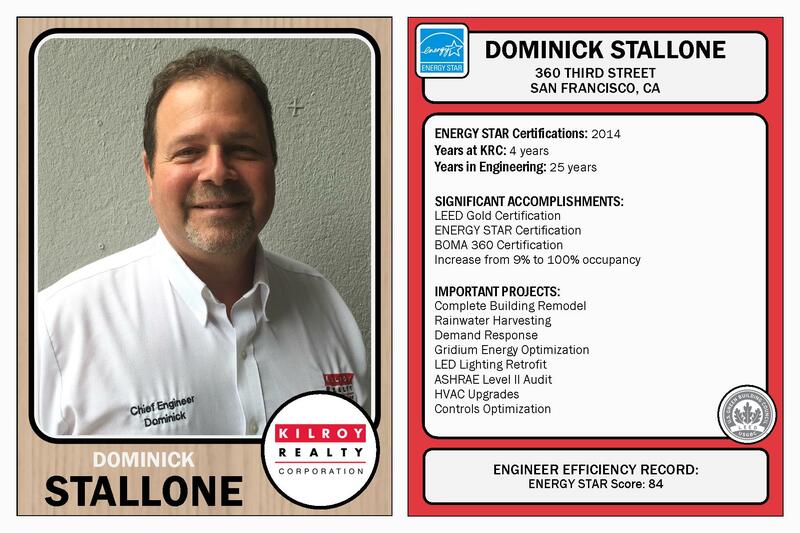 We created a baseball card for each chief engineer to highlight their energy and water reduction successes, awards, certifications, and important projects both to demonstrate our appreciation of their efforts and to inspire other engineers to take on similar initiatives.